Manchester band Elbow will be joined by Tom Odell and Lewis Capaldi. Belladrum Tartan Heart Festival has revealed its first headline act for 2019. Manchester band Elbow will close the Thursday night of the festival - which is set to be out of this world as it takes on a sci-fi theme. Over 20 years and seven studio albums, Elbow boast three Ivor Novellos, a Mercury Music Prize, and a Brit Award for Best British Band. 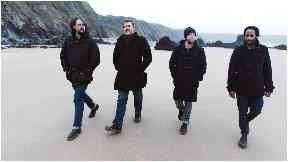 Elbow: The band will headline the Thursday night. Festival promoter Joe Gibbs said: "Elbow have been at the top of our wish list for a few years now and we are delighted to have finally secured them for the festival. "We can't wait to bring them to the Highlands for the first time." The festival, which will take place between August 1-3 within Belladrum Estate near Beauly in Inverness-shire, will also welcome unstoppable Scottish artist Lewis Capaldi. 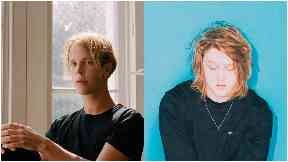 Superstars: Tom Odell and Lewis Capaldi. Over the last 12 months, Capaldi has released a string of incredible singles, including Lost on You, Grace, Someone You Loved and Bruises - which appeared on the hit TV show Riverdale. Solo superstar Tom Odell will be making his debut at the fest, whilst fan favourites Colonel Mustard & The Dijon Five have been brought back by popular demand. Other acts announced include ska bands The Selecter and Bombskare, along with Celtic folk-rockers Skerryvore, Coco & The Butterfields, The Poozies, Torridon and The Dangleberries. Funky: Tom McGuire & The Brassholes. 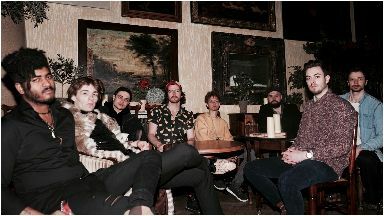 Tom McGuire & The Brassholes will also make an appearance, as will Rhythmnreel, Awkward Family Portraits, Fun Box and junior Gaelic choir Rionnagan Rois. Macfloys and The Sensational David Bowie Band will also perform late-night sets on the Grassroots stage. 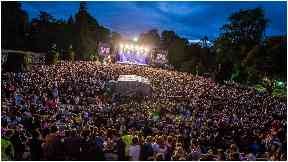 Once again, Belladrum will donate money to charity and the main benefactor for 2019 will be the Scottish Association for Mental Health (SAMH).